What Are My Ductless Heating Options? Ductless systems have become a great option for many homeowners, whether seeking whole-home heating and cooling or heating and cooling for a new expansion or retrofit. We have some pretty big temperature swings in our part of New England, with summer temps reaching the low 90s and winter temps that run below zero. As such, we’ve chosen two ductless manufacturers whose products can handle our New England whether while also being durable and offering the comfort you need and want from your ductless heating in New Hampshire: Mitsubishi and Fujitsu. We’ll go into more detail about these products below, but know that the experts at HB Energy Solutions are here to help you with all your heating needs. Each system offers great benefits of heat pumps, including great energy efficiency and long lifespan. To determine which ductless heating system will work best for your New Hampshire home, call HB Energy Solutions today and schedule an appointment with one of our experts. 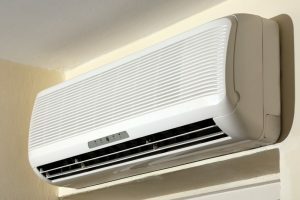 Posted in Heat Pumps, Heating | Comments Off on What Are My Ductless Heating Options?